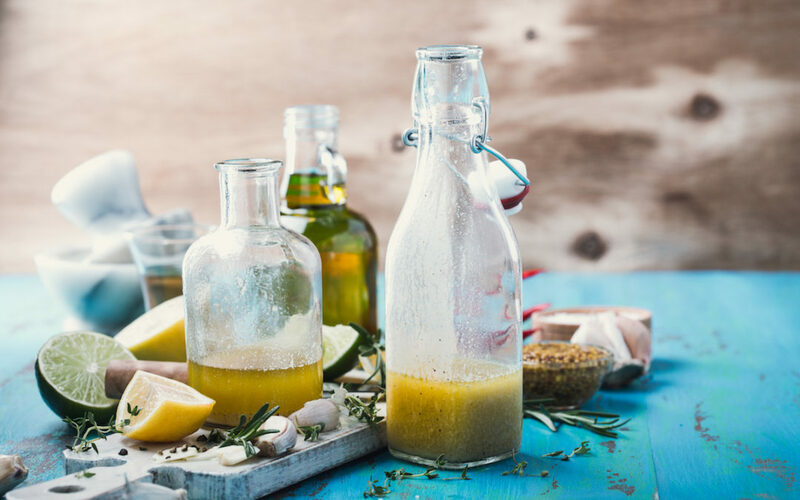 There is a certain brand of salad dressings that are zero fat, zero calorie, zero sugar, but to be honest — that’s just not real food! REAL FOOD isn’t calorie free. REAL FOOD doesn’t even worry about calories. Real food is nourishing, satisfying, satiating. Don’t you want your meals to feel that way? If you’re doing some sort of clean eating challenge or doing my Radiant Reboot, I would say no for this particular brand, and definitely no for those with less than desirable ingredients. There is one exception that I know of to the bad store-bought mayo, and that is Primal Kitchen Mayo, which is made with avocado oil. It’s a little pricey, but if you want mayo but don’t want to bother making it yourself, it’s worth it.